We understand that hearing loss affects 2 out of 10 adults in the UK, and that permanent or temporary hearing loss can be the root of major discomfort. But hearing loss does not need to be a permanent struggle. Dove Hearing Centres offer advice and patient, professional hearing care in order to fit your hearing aid and rehabilitate your hearing. Are you struggling to hear in noisy places? Is it difficult for you to follow conversations in a group? When familiar voices speak, do you find them hard to understand? Does it seem like people are mumbling at you? Do you listen to the television louder than others like it? Do you find it difficult to hear children/grandchildren clearly? Can you hear the door bell or phone ringing? Have you stopped going to your favourite places because you struggle to hear clearly? Digital hearing aids provide the greatest flexibility for matching individual hearing requirements and filtering out unwanted sounds. Behind the Ear (BTE) hearing aids are connected to an ear mould via a small tube. Receiver-in-Canal (RIC) hearing aids are small behind the ear aids with a speaker that sits within the ear canal. In the Ear (ITE) hearing aids are completely contained in a custom made shell that fits into the ear. In the Canal (ITC) hearing aids are smaller that the ITE but still custom made to fit into your ear canal. Completely in the Canal (CIC) hearing aids are the smallest in the ear hearing aids available and are practically invisible. Invisible-In-Canal (IIC) hearing aids are 100% invisible when worn. This hearing aid sits deep within your ear canal ensuring the sound travels quickly and accurately to your eardrum. 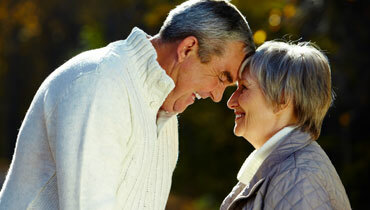 Lyric Extended Wear hearing aids are completly invisible you wear them 24/7, visit our Lyric page for more details. The bowl, or concha, captures vibrations in the air. The sounds are carried through the auditory passage. The sounds vibrate the ear drum. The tiny bones in the middle ear move and transmit the vibrations to the inner ear. The cochlea converts the vibrations into nerve impulses. The auditory nerve transmits these impulses to the brain for recognition.